Today the Dutch queen is celebrating her birthday (well, the be precise it was the birthday of her mother, queen Juliana… but anyway…). 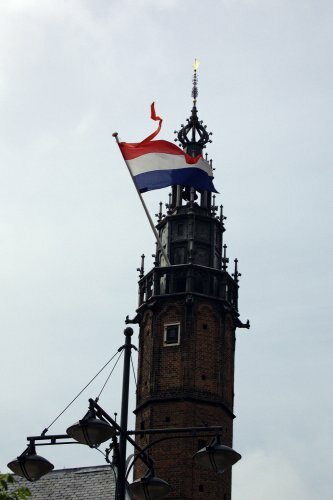 Now living in the province of North Holland, I wanted to see how they celebrate it over here (heard some very nice stories about that). I was warned by people not to go Amsterdam, but cause it is always too busy there. And now I am really happy that I didn’t go for Amsterdam. But idiots putting a train in fire and pulling the emergency breaks in to other trains, all train traffic to Amsterdam was a big a mess. But I already had decided to go for this day to the city of Haarlem. Never really been there before and I heard from many people that it is a real nice city. And I have to admit that they are right! But in Haarlem itself it was very nice. 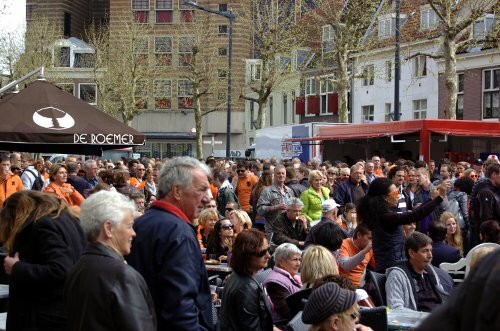 The atmosphere was good and there were many gathered to enjoy the live music that was played throughout the city. Everywhere there was drinks and food available. I liked the city of Haarlem a lot. Very soon I will go back when it is there more quiet and walk around the city to see more of it and make pictures. On my way back home I had to take the bus to Heemskerk because the train traffic was still a big mess thanks to those folks who couldn’t behave. I can remember being with parents there once. Long ago though. It was busy, but far from as busy as it is these days. I think the best option if you really want to go to Amsterdam is to take a hotel for some days. But for me Haarlem is just as fine. It is a very nice city.